Pea pods, or Chinese snow peas, are an essential staple vegetable in Chinese stir-fry cuisine. 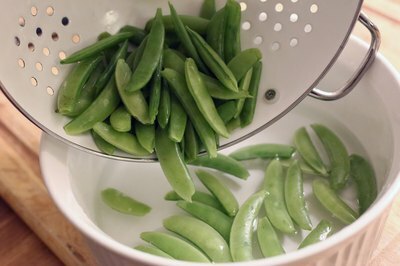 They differ from sugar snap peas in that the pods are flat and are available either fresh or frozen. They are also equivalent to green beans in that you can eat both the pod and the sweet, tender inside seeds. 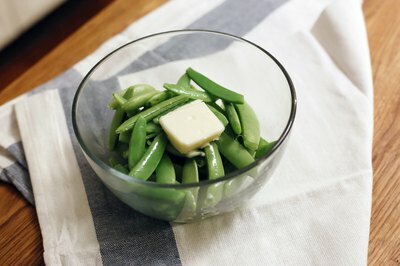 For a refreshing change, substitute pea pods for green beans in any recipe. 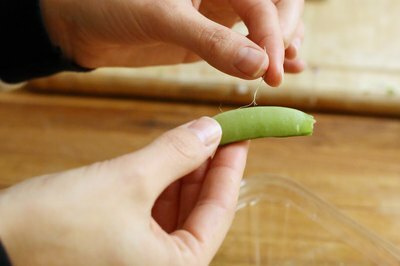 Rinse the pea pods, and snap off the tips and ends. Peel off the strings on both sides. Place about an inch of water in a stainless steel pan with a tight-fitting lid. 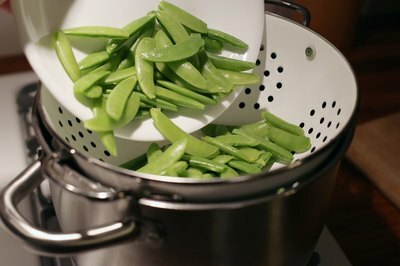 Place a basket steamer or colander in the pan, and add the pea pods. Bring the water to a boil. 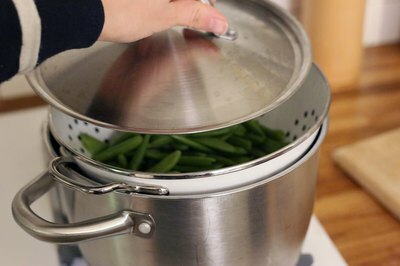 Cover the pan, and steam the pea pods for about 1 to 5 minutes, depending on how crisp or tender you prefer them. 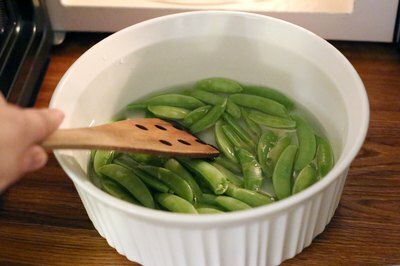 Place about an inch of water in a casserole dish, and add the pea pods. Cover the dish, and heat it in the microwave about 1 to 2 minutes. Stir the pea pods. Cover the dish, and microwave it for an additional 3 to 4 minutes. Let the pea pods cool for about 2 to 3 minutes before serving. 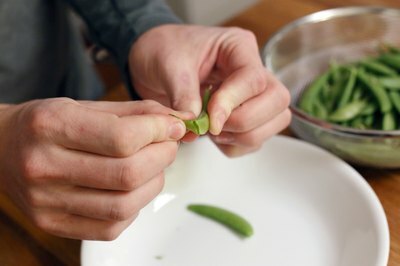 If desired, cut the pea pods in halves or thirds before cooking. Add raw pea pods to salads, or serve them on a raw vegetable plate with dip.